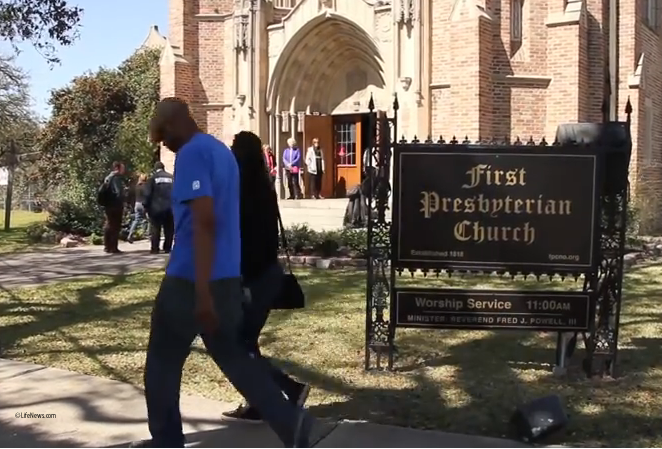 This is Part II in a seven-part blog series analyzing a resolution coming to the PCUSA General Assembly on the end of life. The paper titled, “Abiding Presence: Living Faithfully in End of Life Decisions,” forms the rationale of the resolution and is offered to the church as a pastoral guide to end of life conversation. Part I can be found here. I love that this “handbook for caregivers,” opens with this scripture. God’s presence with us in our dying is a theme in the title, “Abiding Presence: Living Faithfully in End of Life Decisions.” I hope to find that theme continued throughout the paper along with the importance of our faithful response to God at the end of life. “How do I want the end of my life to be?” (emphasis mine) This is the first, and probably not the best, question in the rationale of the resolution being considered for approval at the PCUSA GA in June. A better question for the church follows: “How do we best claim and practice the presence of Christ and the hope of resurrection at the end of life?” Now that’s a conversation starter for the church! It is a question worthy of discussion by the highest governing body of our denomination. I hope that time will be given for substantial consideration of this important topic both at GA and in our local congregations. Some of our central convictions include: (1) that all life is a gift of God, (2) that life is best lived as a covenantal relationship between God, ourselves, and others, (3) that life is lived most fully in response to a sense of divine calling, and (4) that God’s presence and power are not limited by the boundaries between life and death. These significantly affect how we talk about the end of life in at least two ways. First, these convictions provide a context of faith and hope in which we can begin to understand our own mortality neither as a defeat nor as a meaningless event, but instead as surrounded and inhabited by the loving presence of God. In this way, we can avoid despair and be empowered toward honesty and clarity. Second, these convictions can guide us through the increasingly complex choices our medical technologies now allow us to make. Seen in relation to God, our deaths are neither an end to be embraced nor a crushing enemy to be resisted at all costs. Instead, they are a part of the ordering of God’s good world to which we are called and enabled to respond with imagination, love, and openness to God’s grace. The introduction moves the reader along to consider relational contexts for end of life conversation. Our decisions about advance care planning are personal, but they are not made in a vacuum. As we seek to make decisions that reflect our deep and abiding faith there are many others who are impacted and who also have need to be heard: family, medical and spiritual caregivers, and friends. In depth conversations about advanced care planning are needed and have great benefit for patient, family, and healthcare professionals. Such conversations should take place early and often. The A section of the paper seeks to acquaint the church with three particular contexts where communication at the end of life needs to take place: clinical, historical/legal, and theological/ethical. Writers acknowledge that when the Affordable Care Act sought to address the issue of reimbursement for physician/patient conversations about end of life there was a backlash of “allegations that these conversations will be used to nudge people toward forgoing treatment and hastening death.” While I happen to agree who voice concern that such conversations could be used in coercive ways, I don't believe the answer is to squelch the conversation, but rather to educate and prepare the patient before they talk with their physician. The paper reveals efforts are being made to better prepare healthcare professionals for end-of-life conversations through “decision aids.” It’s worth asking (and the authors do not) how these “tools” will be used. The writers hint at some controversy about that and move quickly to promote Advance directives. Authors cite as “foundational documents,” the Living Will and Durable Power of Attorney for Health Care. They add to these newer emerging documents such as Physician Orders for Life-Sustaining Treatment (POLST), Medical Orders for Scope of Treatment (MOST), and Clinical Orders for Life-Sustaining Treatment (COLST). (I will deal more with those later in this series). The Historical/Legal Context portion of the paper details the path of court cases leading to an established “right to refuse treatment.” The 1990 Cruzan case clarified the need for “clear and convincing evidence” of the patient’s wishes either through written statements or oral statements made to family members or others close to the patient while conscious and competent. Congress then passed the Patient Self-Determination Act or PSDA (1990) obligating healthcare institutions receiving federal funds to “educate and assist” patients in creating advance directives for health. 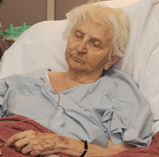 While U.S. culture has essential agreement about “freedom of individuals to refuse medical treatment,” there is much less clarity about “artificial feeding and hydration” and whether they should be considered “treatment.” The Supreme Court has not ruled in favor of “any right to assistance in bringing about one’s death,” but allows states freedom to permit “physician aid in dying” (PAD). Five states have such legislation. “Active euthanasia,” defined in the paper as “a situation in which a physician or other person acts directly to cause the death of a suffering person,” is illegal in the United States. Authors of the pastoral guide do reflect a valid concern about barriers to conversations about end-of-life choices in nursing homes and other long-term care settings. Understaffing, aides with minimal training and rapid turnover, residents with dementia, isolation and impersonal care, residents may be vulnerable to having their care determined by state-appointed guardians. The section on Theological/Ethical Context reads as though designed to support the goals of promoting advance directives and personal autonomy in end-of-life decision making rather than an honest attempt to convey the doctrinal foundations of the reformed tradition. It strikes me as being more about human empowerment at the end of life than about the activity and presence of God which engenders hope for us in our dying. “First, God is “sovereign.” This means that God is a power and presence that is not diminished by any event in life or in death.” Although it is a strong affirmation that “God is always at work in everything that happens” writers could not resist introducing the theme of “patient autonomy” and I cannot help but wonder to what purpose? “Second, God both blesses and orders (or “governs”) …Life goes on in the power of this blessing and to participate in it is joy….But the blessing is not given without limits…Death is one feature of this context.” The authors seem to backpedal from describing death as a just penalty for human sin in a fallen world. Instead the focus is put on the “permanent loss of relationships that death entails” as being what is most “intolerable.” In this perfect place for its’s inclusion, no mention is made of the resurrection and the promise of eternal presence in relationship with our Father God. One feels that the statement about the loss of relationships is a set up for a later sentence, “When these (i.e. pain and suffering) are overwhelming, and when they destroy the capacity for human relationships and steal the joy from living, we may reasonably conclude that God is calling us to face our limitations and to accept the inevitability of death.” Sounds perilously close to an argument for the choice to hasten one’s death does it not? “Third, God orders or governs life in part by means of “covenantal” relationships. Here the writers describe the relationship between God and humans as one of “covenant-partners.” It seems not quite reflective of the appropriate humility of our position as servants or even slaves of Christ. In the theological context of end-of-life decision making one would expect the paramount relationship to be our relationship to God as our Creator and to Christ as our Savior and Lord. I’m left concerned that some will hear these words as an obligation to avoid becoming a burden to friends and family or an affirmation that they are to escape suffering by hastening their own death. I’m left feeling that I still haven’t heard that “something distinct” that Christianity brings to our conversation at the end of life. Perhaps I’ll find it in the pastoral support and clash of cultures segment which I’ll deal with in Part III.